For today's Frugal Round-up I have some fun furniture to share! First up, I fell head over heels for this coffee table makeover from Sophia's Decor. The houndstooth is classic and funky all at the same time! 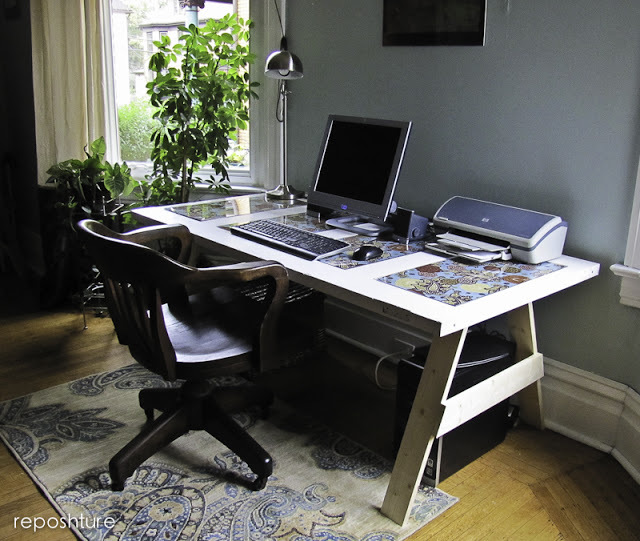 Next, Reposhture Studio posted a great tutorial on how to make a sawhorse table out of an old door. This is fabulous! 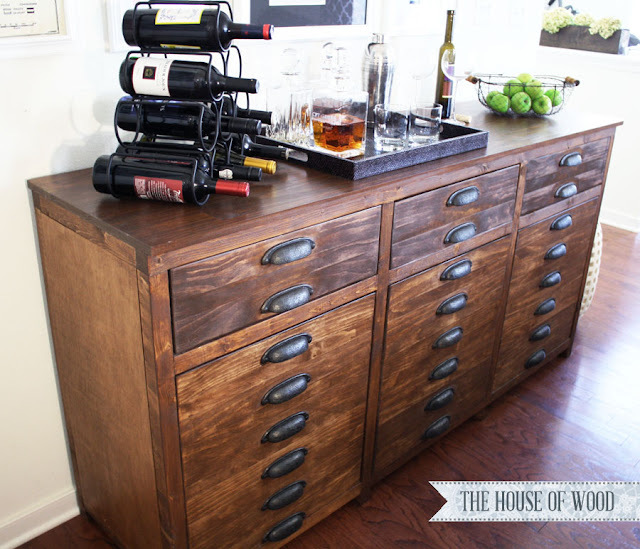 And last but not least, I loooove this Restoration Hardware sideboard knock-off by House of Wood. Seriously impressive! Whoa, I'm #2! That is a first. Usually I'm #175 - ha. Thanks for the party, Wendy! I linked up my foyer. Have a great weekend! 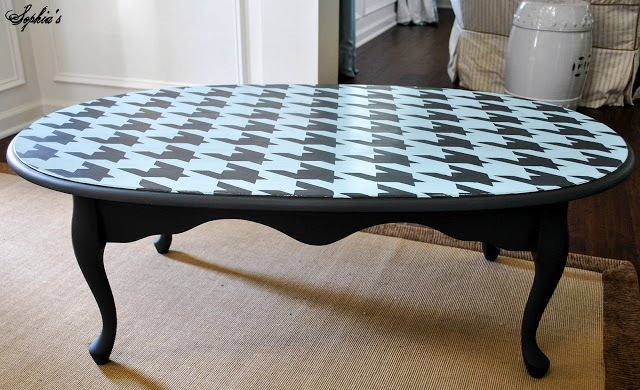 Thanks so much for featuring my houndstooth coffee table...it was a really fun project! Thanks for hosting every week. I love to see what everyone links up! THanks so much for hosting another fabulous party - it's really so appreciated! Thank you for the party! The features are fantastic this week. I love the House of Wood project. Thanks so much for hosting! It's always a pleasure to join the party. Hope you have a great weekend! Good morning! Thanks for hosting another party. I love this time of year and love making spicy desserts and side dishes. I have linked up my No Fuss, No Sugar Applesauce (#244) that's easily made in crockpot. I hope you enjoy! It was so fun to meet you last weekend! Thanks for hosting the link party, and I hope you have a great weekend!